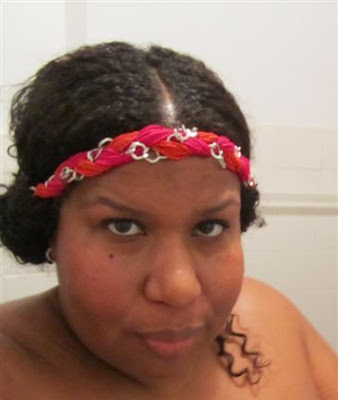 Here's a little quicky post...one of my fav bloggers Stephanie Zwicky of LeBlogDeBigBeauty did a video tutorial on headbands which I thought was super cute and decided to try one of her suggestions. 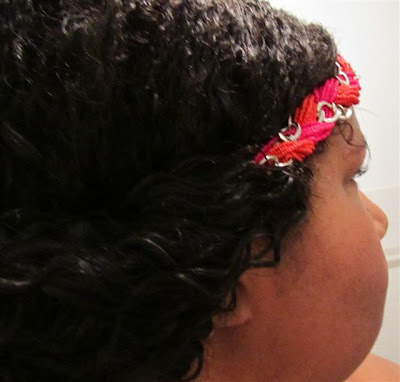 I really do love hair accessories and depending on my mood can be pretty good about utlizing the ones I have but I want to step it up and really play with different hair styles. My hair is curly and I usually just wear a part in the middle or a big bun on the top of my head so; here's to being a little more creative! Thanks for the tip Stephanie! 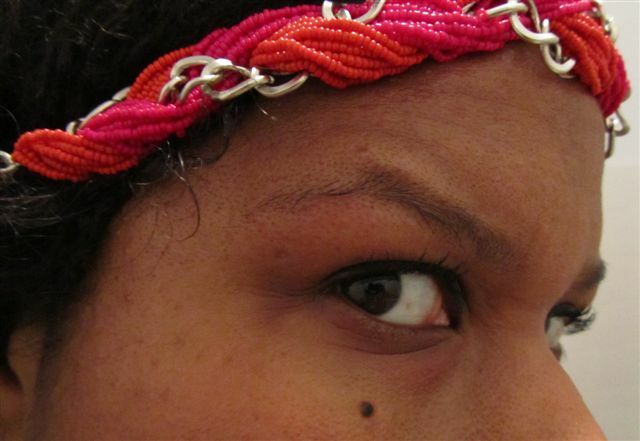 It's incredibly easy but looks really polished! 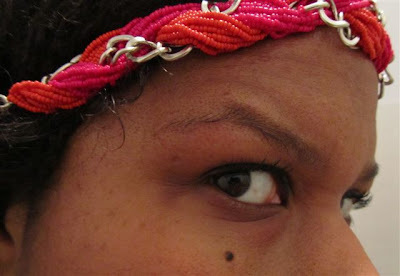 just put an elastic headband on over your hair and fold the loose ends up and tuck them into the band - et viola! 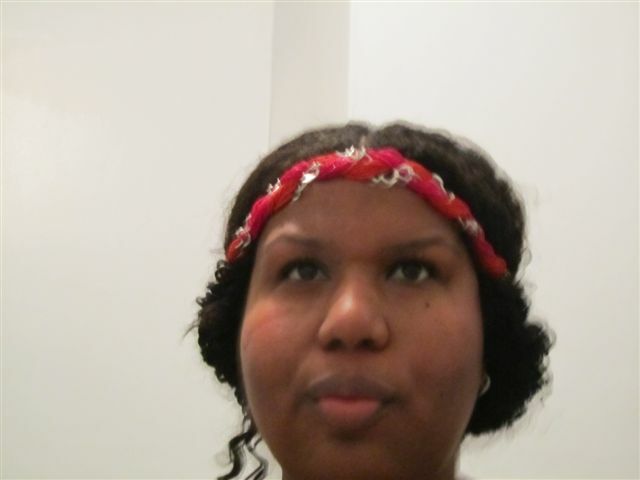 Headband by Tasha: I got it at one of my favorite stores, Nordstrom Rack. Original price $22, I got it for $9.97! Woo hoo!